I really like good ol’ country music from the period 1930 – 2005. Most of my favorite songs and performances dated from 1975 back to the days of Jimmie Rodgers and The Original Carter Family. I also like to see live music performances. Except in a few sections of the country, modern country radio has largely forsaken good ol’ country music. Yes, there is Sirius-XM Radio, but the stations that play pre-2005 country tend to have rather shallow playlists, and satellite radio can be a pricey proposition. I do have XM in my vehicle because I make a number of long trips on business. Being able to see live good ol’ country music performed is getting more problematic. In some areas there are younger performers who have embraced the art form, but in other areas they can barely be found. Moreover, the classic country performers are ageing. Most of the great country performers of the 1950s and 1960s have moved on to that Great Opry Stage in The Sky. The same is increasingly true for many of the stars of the 1970s. We have even lost some of the stars of the 1980s. During the 1940s and 1950s there wasn’t much difference between country and bluegrass except the instrumentation, with many artists (Jimmie Skinner, Lee Moore, Mac Wiseman) straddling the border between the two genres. As the 1960s arrived, there was more separation although artists such as the Osborne Brothers and Jim & Jesse McReynolds featured steel guitar and ‘Nashville’ sound trappings on their major label bluegrass recordings. Through the early 1970s it wasn’t unusual to see bluegrass acts chart on the country music charts. By the mid-1970s, the two streams had completely separated. Bluegrass was no longer played on country radio (except an occasional song from a movie such as “Dueling/Feuding Banjos” might be played), and the repertoire had largely segmented as well. Over the last twenty years or so, as the product on country radio has become more unlistenable, something strange has happened: bluegrass artists have become the guardians of the country music tradition. Many of today’s bluegrass artists grew up listening to that good ol’ country music and have been incorporating larger amounts of it into their repertoire. In some cases artists, such as Ricky Skaggs and Marty Raybon who had substantial country careers, returned to their bluegrass roots, bringing their country repertoire with them. In other cases bluegrass acts, often serious students of music, have gone back and founded the repertoire that country radio and young country artists seemingly lost. Obviously, I’ve done no detailed study into the matter, but I’ve been attending bluegrass festivals over the last eight years, and have heard a tremendous amount of country songs performed. Almost every bluegrass group has at least a few classic country songs that they perform, and many have repertoires that are 30%-50% country songs. I must admit that the ‘high lonesome sound’ is an acquired taste. Even now, I really cannot listen to more than a few Bill Monroe vocals at a time. That said, Bill usually kept some other vocalist on board with such proficient singers as Lester Flatt, Jimmy Martin, Mac Wiseman and Peter Rowan all taking turns in Bill’s band. Consequently, one generally wasn’t stuck listening to Bill Monroe sing the lead. Mac Wiseman – possessed of a pleasant and sleek Irish tenor, Mac can sing anything and everything and sing it well. There is a reason he is known as the “voice with a heart”. I think Mac is one of the few left alive from the gestation period of the music. Jimmy Martin – Jimmy was more in the realm of the ‘high lonesome’ but unlike most such singers, who sound like the voice of gloom, agony and despair, Jimmy was such an unabashedly good natured and exuberant singer that you can help but like him. Lester Flatt – whether singing with Bill Monroe, as part of Flatt & Scruggs or after the split with Scruggs, Lester’s lower tenor made bluegrass palatable to those not enamored of the high pitched vocals of Monroe and his acolytes. While groups such as Trinity River, Flatt Lonesome, IIIrd Tyme Out and Balsam Range are very good, I would recommend you start with Chris Jones and the Night Drivers. Chris has an excellent, somewhat lower pitched voice that would have made him a star during the classic country days. Chris is a DJ on XM Radio’s Bluegrass Junction (Channel 62 on XM Radio) and he will occasionally feature one of his own recordings. Next I would point you toward The Gibson Brothers, The Spinney Brothers and Rhonda Vincent and the Rage. If you are a big Statler Brothers fan, the Dailey & Vincent duo include a lot of Statler songs in their repertoire and on some numbers can make you think that the Statler Brothers have come out of retirement. Marty Raybon, lead singer of Shenandoah, features a lot of Shenandoah material in his performances with his current band Full Circle. In recent years Rhonda Vincent (the “Queen of Bluegrass Music” has been occasionally performing with classic country acts such as Gene Watson, Moe Bandy and Daryle Singletary, so you might find these guys at bluegrass festivals. I will note that I have left some of my personal favorites (The Osborne Brothers, Del McCoury, Reno & Smiley, James King, Dale Ann Bradley, Lorraine Jordan) out of this discussion. I’m not worried about leaving them out – you’ll work your way to them eventually. Classic Rewind: Johnny Cash and the Carter Family – ‘Were You There (When They Crucified My Lord)? It’s hard to know how much longer the legendary Ralph Stanley can keep on making music. He is supported here by son Ralph II on a project intended to recall the best of the music Ralph made with late brother Carter as the Stanley Brothers. Father and son take turns singing lead and harmony. Ralph’s ageing voice still has great presence and character, while his son’s has its own arresting quality. A solo accappella performance by Ralph senior on ‘Don’t Weep For Me’ makes a virtue of his ageing voice and shows his sense of phrasing is unaffected. He sounds good on the traditional ‘I’ve Still Got 99’, and is effective on the intensely lonesome wail of ‘Carolina Mountain Home’, in which the protagonist longs for his sweetheart. Another traditional tune, ‘Wild Bill Jones’ represents the timeless sound of the music of the Appalachians. 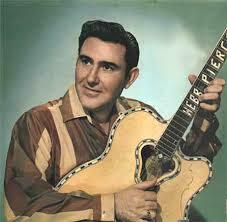 The prettily melodic ‘Walking With You In My Dreams’ was written by Bill Monroe’s brother Charlie. Ralph sings this one simply, with no harmonies behind him. Ralph II delivers a measured lead on the pensive ‘Dirty Black Coal’, a song written by his father about miners’ mixed emotions about the dangerous and unpleasant work which nonetheless provides a living for their families. John Rigsby’s fiddle underlines the mood set by II’s mournful vocal. A version of his father’s ‘A Little At A Time’ is good but less memorable than other tracks. He is ideally suited to the plaintive ‘Don’t Step Over An Old Love’, familiar to country fans from Ricky Skaggs’ version. This is perhaps my favourite track, followed by the melancholy gospel ‘Nobody Answered Me’. Ralph II sings solo on the rapid paced banjo-driven Carter Family classic ‘Darling Little Joe’, and is supported by his father’s high harmony on the traditional ‘Six Months Ain’t Long’ and the newly written but very traditional sounding ‘White And Pink Flowers’. II also takes the lead on a solid bluegrass version of Ernest Tubb’s ‘Are You Waiting Just for Me’. One instrumental, ‘battle Ax’, is thrown in. This is a rare link to the deep past of country and bluegrass, beautifully performed with the benefits of modern recording technology to keep the sound clear and pure. Alongside our reviews of albums produced by the ‘Class of ’89’, we’ve been taking the opportunity to look in depth at some of the other great albums released that year. 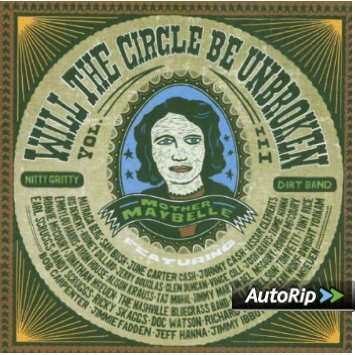 Perhaps the most ambitious of those was the Nitty Gritty Dirt Band’s second Will The Circle Be Unbroken project, which harks back to the early days of country music and shows how that heritage was still influential. The Nitty Gritty Dirt Band started out in the California folk-rock movement of the 1960s. 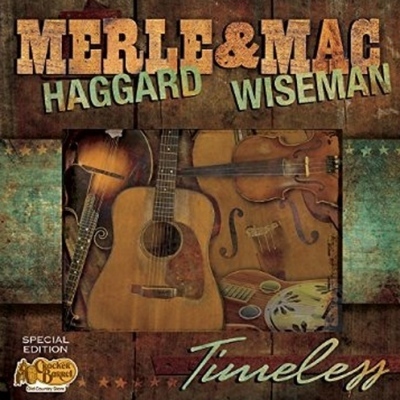 They revealed their country leanings in 1972 when they produced a legendary triple LP entitled Will The Circle Be Unbroken in collaboration with some of the seminal figures of bluegrass and old-time country music, including Roy Acuff, Maybelle Carter of the Carter Family, bluegrass great Earl Scruggs and many others — mostly artists who were past their commercial peaks. If the Nitty Gritty Dirt Band had never again ventured into country music, this album alone would have sealed their place in the music’s history.